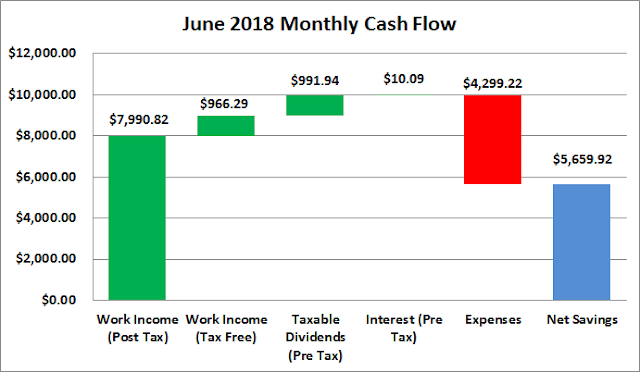 Income hasn't been the problem for my monthly budget and June continued that trend with $9,959.14 of income for the month. Expenses however climbed yet again largely due to my trip to Las Vegas in June and then an unexpected purchase of a plane ticket to Nashville to visit my wife while she was visiting some friends. June's total expenses came in at $4,299.22. Without the travel expenses it would have been in line with prior months at $3,333.99. My savings rate dipped in June because income growth couldn't outpace the growth in expenses. Based on total income (pre & post tax work income, taxable dividends, interest) I still had a solid 57% savings rate during June. Based on work income alone the savings rate was 52%. Excluding the travel expenses, which aren't normal expenses, the savings rates would have been 67% and 63%, respectively. Truly passive income, dividends and interest, totaled $1,002.03 during June which was about a $70 increase from March. *Dividends are from my taxable accounts only. Based on June's spending the passive income for June covered 23% of expenses. Thus far in 2018 I've totaled $3,370.42 from income outside a traditional day job. One thing I'm certain of is that life is what happens when you're busy making plans. 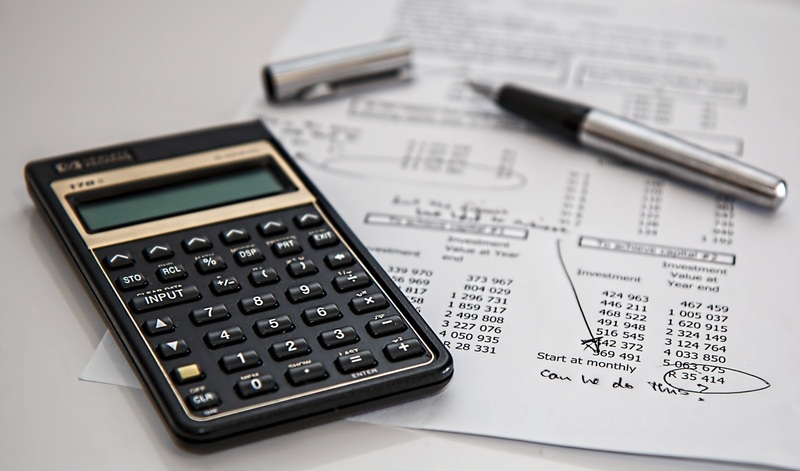 Our big plan for the year was to reduce all of our non-mortgage debt in order to free up around $900 of monthly cash flow. It's been slow going on that front because life just kept happening and now with a fairly big vacation coming up later this month I'd rather have my cash on hand rather than already accounted for. The plan was to get through the vacation and then take excess cash and start being aggressive with the debt reduction. However, my wife told me last week that our upstairs air conditioner might not be working. Yay! (/sarc) So we might be having to throw down another $5-8k for that because well in Texas you HAVE to have a functioning air conditioner. There's no question about it. There's still plenty of room to improve on the expense side of the budget and even if we have to get our air conditioner replaced I think there still might be an outside chance of being rid of all non-mortgage debt by the end of the year. Thank goodness for a fairly high income! Regardless, you had an awesome savings rate. Sure you could focus more on expenses, we all probably could. That's unfortunate about the air conditioner and those are not cheap. I was having issues with mine. But luckily, some extra refrigerant may hold me over until next year when I can get a better price on it. I was not looking forward to potentially having to replace a unit for the reasons you described.